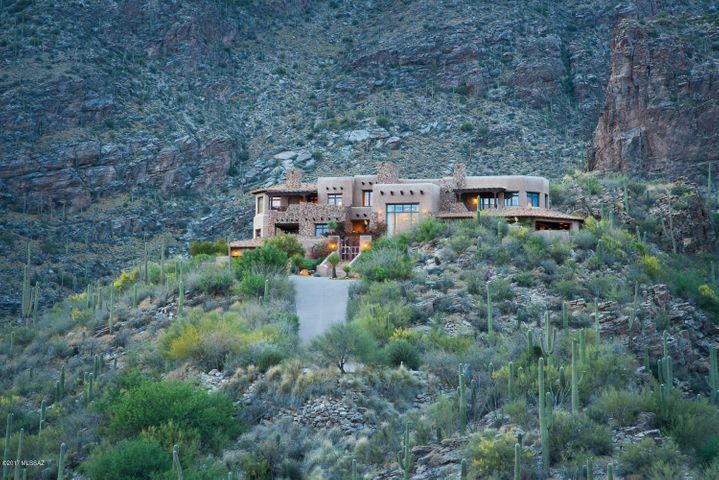 All Tucson homes currently listed for sale in Tucson as of 04/23/2019 are shown below. You can change the search criteria at any time by pressing the 'Change Search' button below. 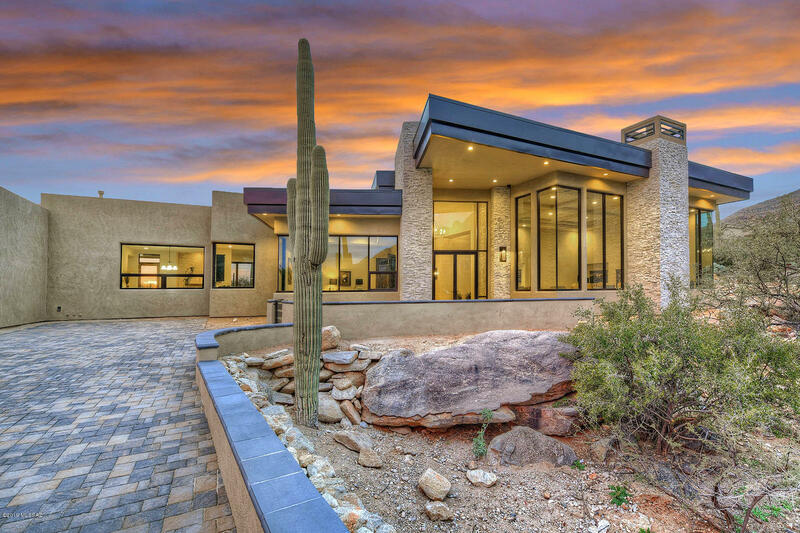 If you have any questions or you would like more information about any Tucson homes for sale or other Tucson real estate, please contact us and one of our knowledgeable Tucson REALTORS® would be pleased to assist you. 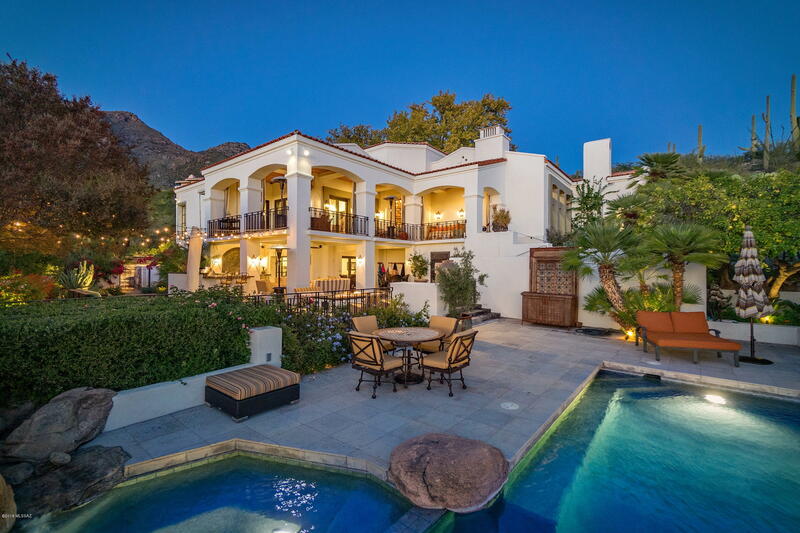 "Villa Esperero, the private, luxurious, Estate in exclusive Rattlesnake Canyon Estates is a property unlike any other w/exceptional city, mtn & valley views. 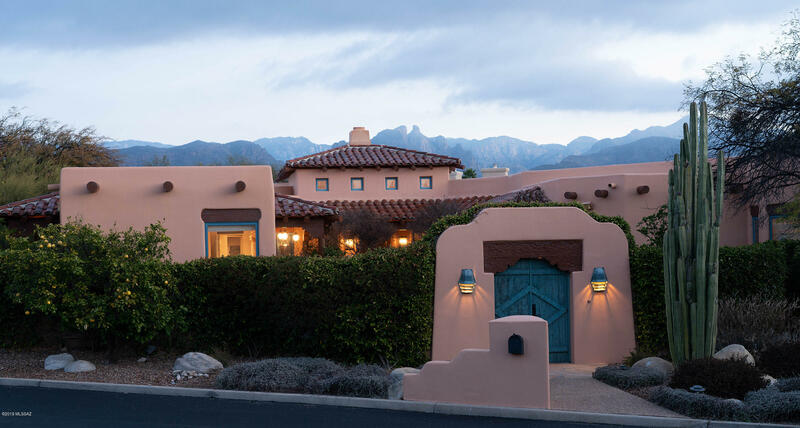 Impeccably designed by architect Ron Robinette to synthesize intn'l influences w/the natural beauty of Tucson, Villa Esperero is a work of art. 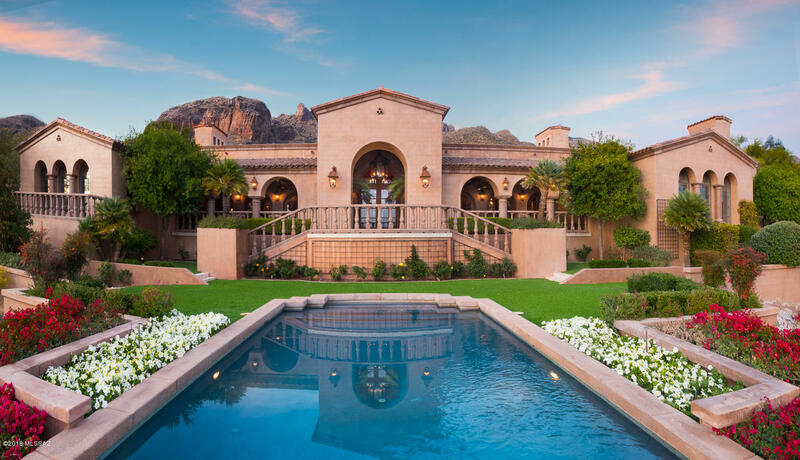 The estate is comprised of 3 separate, immense lots in the Catalina Foothills that create 1 superbly blended, 133 acre property w/ unparalleled proximity-Minutes from Canyon Ranch, World Class Resor"
"For the buyer who demands the best-possibly Tucson's finest available home building site . 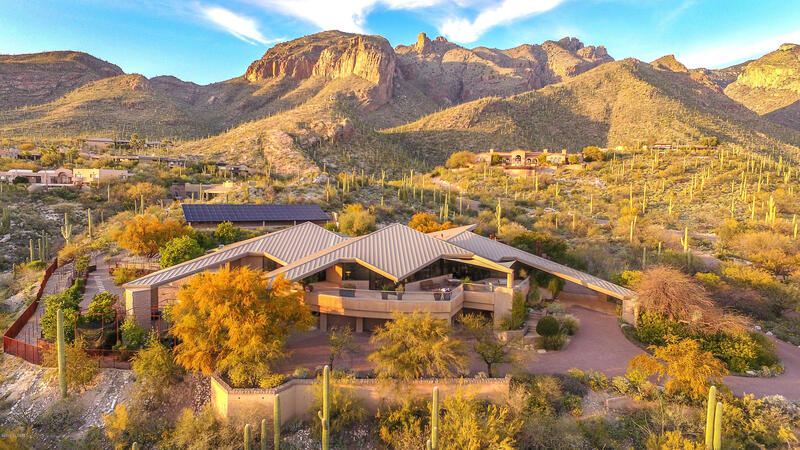 . . with astounding, sweeping Ventana Canyon, Catalina, Santa Rita, Tucson Mountain and city views from this 3.33 acre building site high up at the edge of Ventana Canyon. 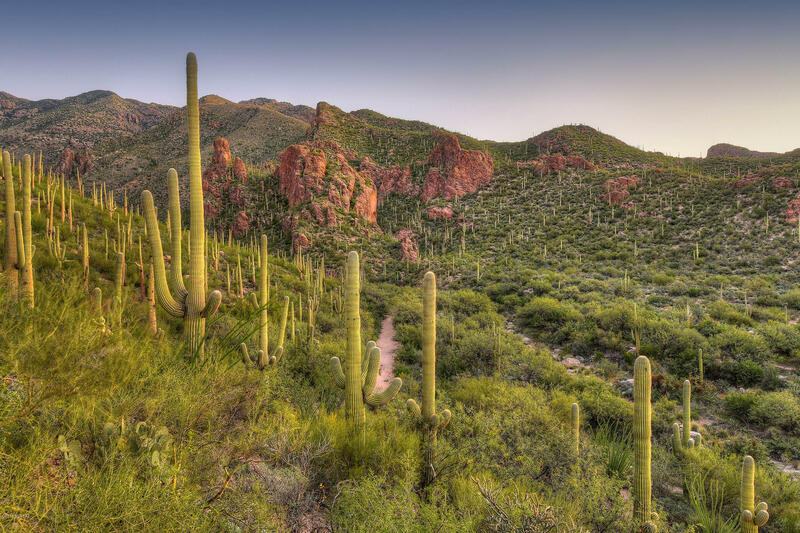 Unobstructed views up Ventana Canyon itself, with rock spires, columns, saguaro forests, reach out and touch the mountains as you are part of the mountain and see to Mexico over the City of Tucson. Builder plans available for a 7,000 s"
"Villa Esperero, the privately gated, luxurious, custom-built home in exclusive Rattlesnake Canyon Estates is a property unlike any other w/exceptional city, mntn & valley views. 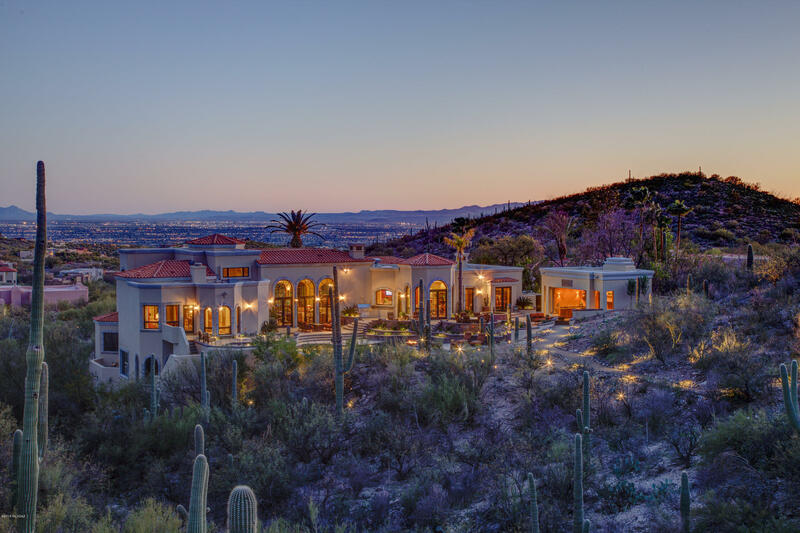 Impeccably designed by architect Ron Robinette to synthesize international influences w/the natural beauty of Tucson, Villa Esperero is a work of art. The 9000 sq. ft. main house sits on 49 acres & is perched between two magnificent canyons w/seasonal springs & natural pools. Precise detailing & meticulous craftsmanship "
"This contemporary, unrivaled architectural masterpiece in the exclusive gated community of The Canyons is situated on a peninsula w/long private drive to covered portico. The fluent floor plan offers unparalleled city and mountain views unlike any other, w/complete privacy to entertain to your hearts content. This 7080 Sq. Ft. grand estate is a fully self-sustainable compound w/private well, solar panels, orchard & vegetable garden. 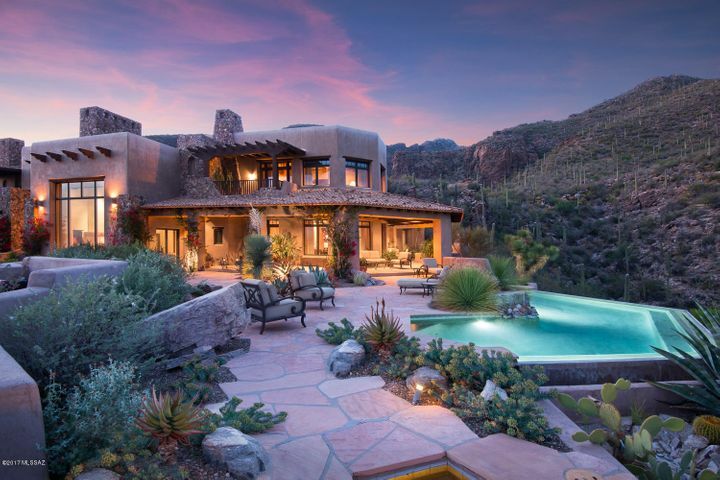 Ideal for easy living, this rare offering includes elegant livi"
"Mediterranean & Southwest architecture blend in this stunning 6 BR 7BA fully furnished sanctuary sitting on 3/4 acre beauty of a Sonoran desert tucked away behind the gates of world renowned Canyon Ranch Wellness Resort. Immerse yourself in a year round privileged Life style with access to first class resort amenities. State of the art Spa, round the clock fitness classes, outdoor activities, tennis, pools and wellness treatments all at your figure tip. The peaceful and serenity of this house "
"$2 million dollar price reduction!! 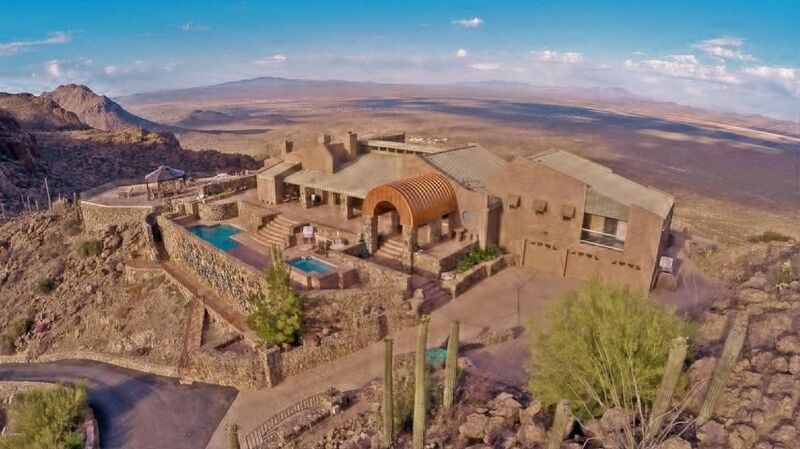 Fabulous mansion on a very private high lot with views of sparkling city lights and several mountain ranges. Exquisite details include many European antiques including the fireplace mantels and surrounds & chandeliers, gold leaf crown molding, custom carpets and much more. Home has a formal living and dining room, butler's kitchen and show kitchen, family room, den w/Clive Christian cabinetry, nursery, English pub, 15 seat movie theater, 3 guest suites, exerci"
"This Spanish Mediterranean beauty located in Wild Horse Ranch Estates will mesmerize your senses with exquisitely stunning views of the Catalina and Rincon Mountains. A circular cobblestone drive around a water feature is just inside the gated entry. A rotunda with Cantera stone showcases a majestic entrance that has a wall of windows looking north to the Catalina Mountains. Magnificent coffered ceilings highlight the formal living room. 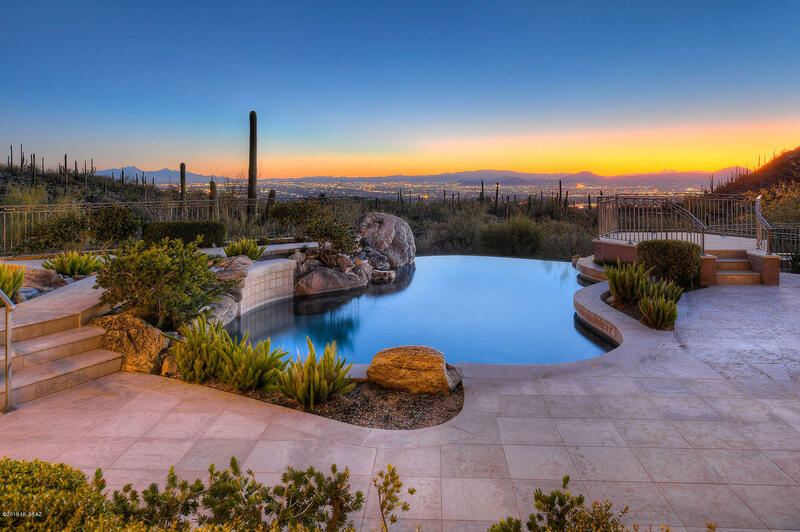 A large granite covered island is the centerpiece of the g"
"Stunning Hilltop Mediterranean Masterpiece Located in Tucson's Premier Gated Community, The Canyons. 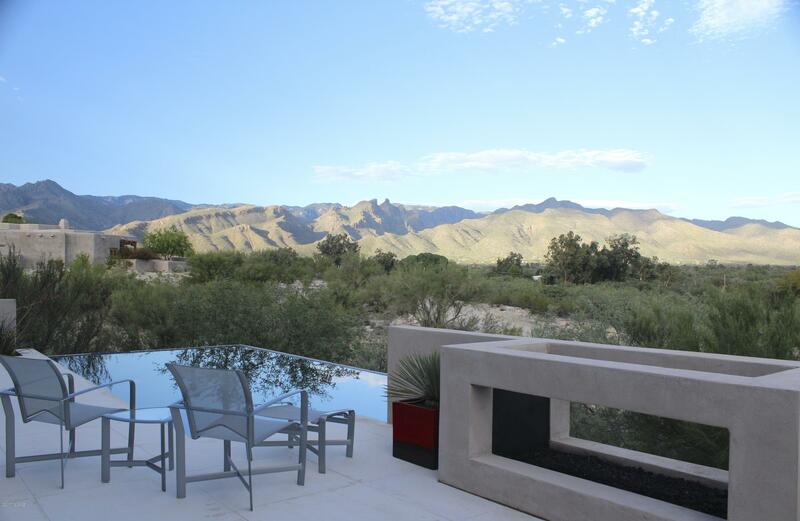 Dramatic 360-Degree Views w/ All 4 Mtn Ranges & Jaw Dropping City Views. Views from Every Window. Solid Masonry Home Captures the Old World Charm & Ambiance of Tuscany w/Integrated Color Stucco & Gorgeous Stone & Wood Flooring.Gracious Soaring Entry & Separate Reception Area w/ Views from the Front Door through to the Terrace & City below. 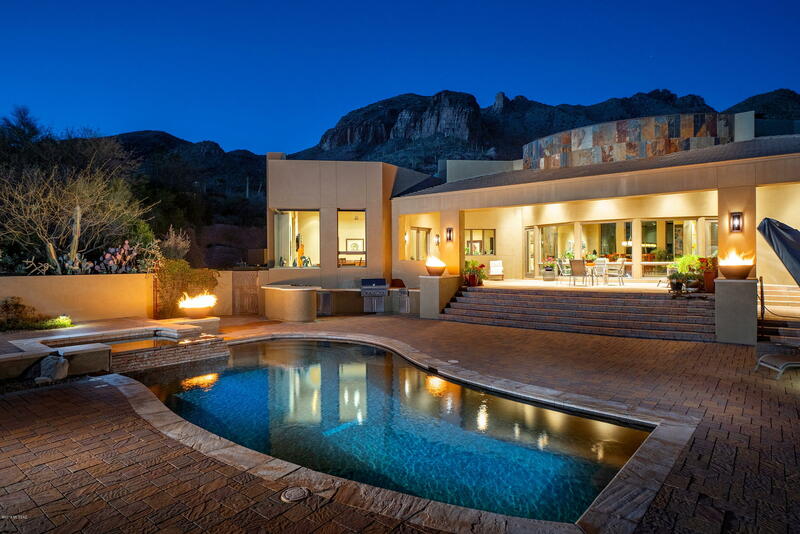 There is Gallery Space on Both Sides of the Formal Entr"
"Highly custom contemporary located in the world renowned Canyon Ranch Health and Fitness Resort in Tucson, AZ. Designed and constructed by respected architect/builder, John Campisano. Precision throughout this signature custom build beginning from the front door. Portuguese limestone 36'' sectioned tiles with fluid transition from the interior and line the exterior pool deck and front entry. Remote start aluminum-clad built-in fireplaces in living, family, and master rooms. 3 beautiful modern be"
"THIS SENSITIVE AND AMBITIOUS RESTORATION BY RENOWNED CALIFORNIA DESIGNER MICHAEL ROY, RETAINS THE ESSENCE OF THE ORIGINAL ARCHITECTURE, WHILST CREATING A RENEWED VISION OF AMENITIES AND SERVICES AN OWNER WOULD EXPECT FROM A HOME OF THIS CALIBER. THE FIT OUT AND QUALITY OF FINISH IS INCOMPARABLE, PROPORTIONED WITH ELEGANT ARCHITECTURAL FEATURES AND LARGE STEEL CASEMENT WINDOWS PROVIDING VIEWS OVER THE ESTABLISHED GROUNDS. SITUATED ON A COMMANDING VIEW LOT OVERLOOKING THE GREENS OF THE 1ST FAIRWAY"
"A unique & rare offering to live on site behind the private gates of the world renowned Canyon Ranch Health Spa. 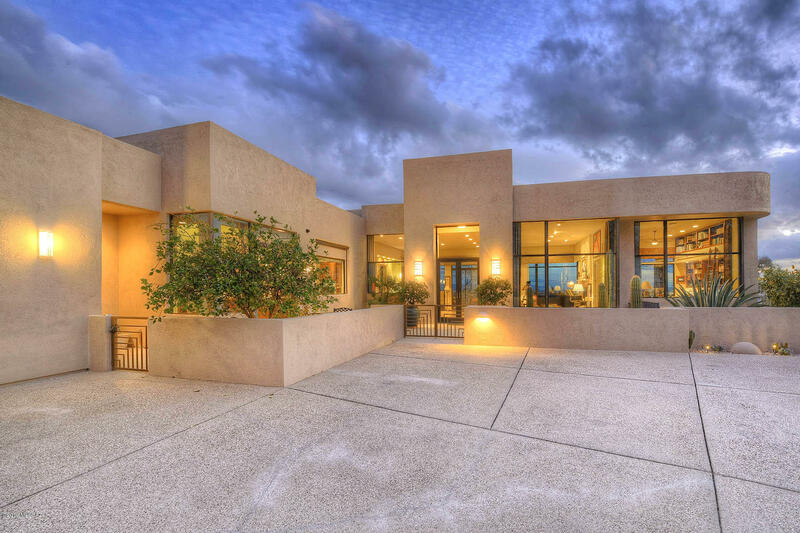 This stunning contemporary masterpiece built by John Campisano sits on one of the finest view lots in all of Canyon Ranch backing to Sabino Creek. 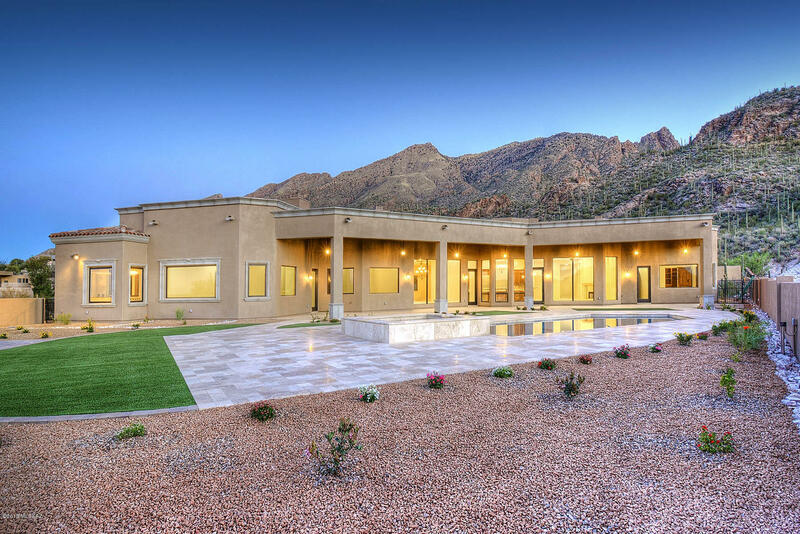 The timeless architecture & designer finishes embody luxurious southwest living from the stone accents in the expansive great room to the walls of glass framing the spectacular mountain views. Natural stone floors, wood ceilings & custom de"
"Just Reduced by $1,500,000! 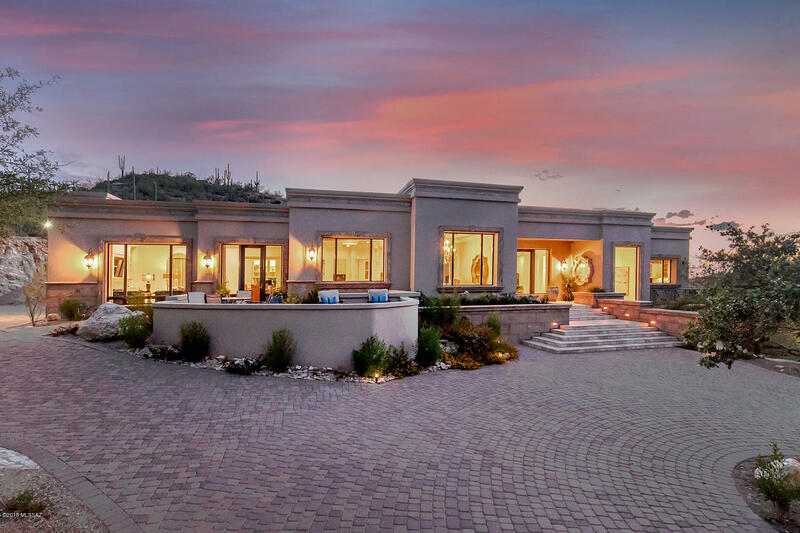 This grand Foothills estate, located in prestigious Finisterra, recently underwent a 2 year, multi-million dollar renovation by the current owners who sourced materials from around the globe to create a true showplace. As you enter, your eyes are immediately drawn to the Saguaro studded Natl Forest towering over the breathtaking backyard w/pool, spa & entertaining pavilion. The elaborate kitchen features an enormous Calcutta marble island, Wolf appliances, custom waln"
"Stunning & chic recent renovation just completed on this 2 acre estate w/ unobstructed mountain views in prestigious gated The Canyons. Enter through grand foyer leading to well-appointed living spaces. This highly desirable 7655 Sq. Ft. home features 4 Bed w/ en-suites, 3 powder rooms, study, home theater, grand living room w/ sunken bar, and state-of-the-art gourmet kitchen w/double granite islands leading to spacious family room exudes warmth, artistic charm and attention to detail. Spacious "
"Casa de Plegado, the AIA Home of the Year winner, a brand new modern home designed by Rob Paulus Architects. The unique 3.4 acre lot within the gated community of Cobblestone has amazing views, both city and mountain, and privacy, backing to the Coronado National Forest. This single level home has no steps and features a split bedroom plan with ample separate entry guest quarters, and all bedrooms are en suite. Thoughtful design features framed view windows in every room, even the hallways. 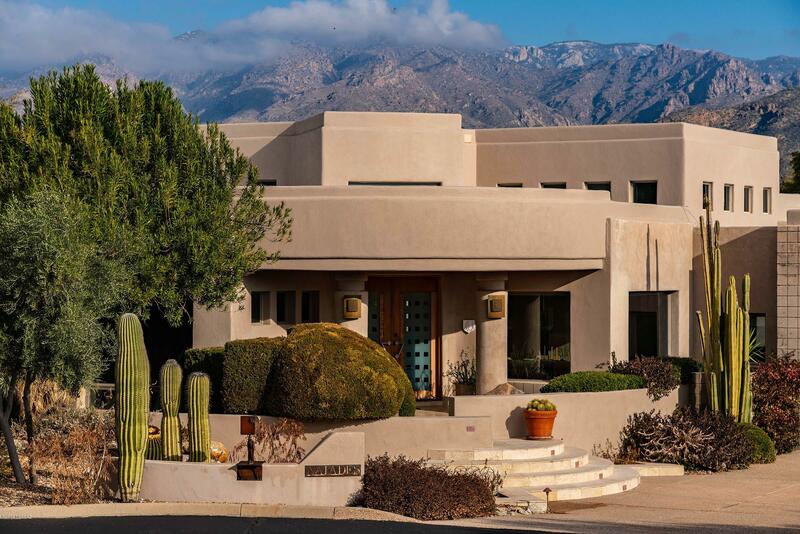 Gree"
"Superbly built 3BD 4BA soft contemporary, fully furnished retreat with an oversize lot tucked inside the tranquil grounds of the world renowned Canyon Ranch Wellness Resort, Immerse yourself in a year round privileged Life style with access to first class resort amenities. State of the art Spa, round the clock fitness classes, outdoor activities, tennis, pools and wellness treatments all at your figure tip. Lori Caroll Digns touch are in full evidence in this architectural gem. Edged glass doors"
"Designed w/ the same quality & craftsmanship of the main home, the Sports Complex is a show stopping addition to the property. 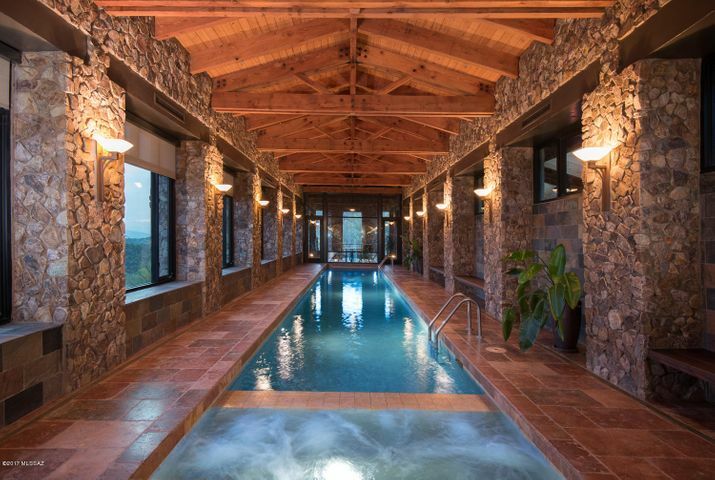 The nearly 4000 sf building on 37-acre Lot 3, was also designed by Robinette & features a 60-ft indoor lap pool & spa. Full sized batting cage w/a professional pitching machine is located behind the pool. The Sports Complex includes a workout area, kitchenette, a sitting area, locker room, bath & laundry. The outdoor covered patio offers fantastic sunset views. The adj"
"A handcrafted work of art in the prestigious ''Old Foothills''! This Spectacular Gated Estate combines the best of old world Spanish Colonial Architecture & Timeless Santa Barbara Design. Built in 2005 on one of the best lots in the foothills, this stately home sits on 3.25 private acres w/stunning views & private well. Exquisite finishes include Imperial plaster, mesquite wood floors, Imported tiles, Cantera stone accents, antique doors, hand carved beamed ceilings, 7 fireplaces, home theatre, "
"Situated behind a private guard gated entry, in the exclusive neighborhood of The Canyons, synonymous with luxury and elegance. A design collaboration between Becklin Construction, Mary Alexander-Designer and Larry Zukowski landscaping, composed a building typology that is designed to achieve private interiority within a neighborhood context. Complemented by a limited palette of materials strengthens the timelessness of the design, providing a contemporary range of subtle elegance, with balanced"
"PREMIER FOOTHILLS PROPERTY! TUSCANY INSPIRED, GREG SIMMONS DESIGNED CUSTOM HOME W/ 13,400 SQ FT UNDER ROOF! 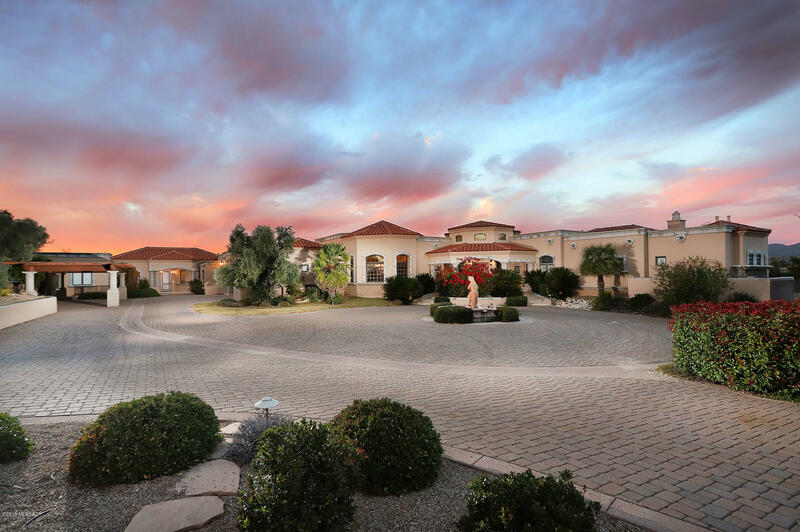 SPRAWLING 2.84 ACRE COMPOUND IN GUARD-GATED CATALINA FOOTHILLS ESTATES #10. UNIQUE AND LUXURIOUS MAIN HOUSE W/ ELEGANT FINISHES THROUGHOUT. EVERY ROOM A SHOWPIECE W/ UNIQUE DESIGN ELEMENTS. INCREDIBLE DISPLAY OF WOOD AND STONE CRAFTSMANSHIP. CHEFS KITCHEN W/ 2 LARGE ISLANDS, SUBZERO, WOLF & VIKING APPLIANCES. GORGEOUS FOYER, FUN BAR/BILLIARDS ROOM, OFFICE, EXERCISE ROOM & DETACHED GUEST H"
"This Captivating one of a kind home will leave all of your guests speechless.This Luxurious home sits on the highest peak in Tucson.Low care Landscaped home with over 6000 square feet of Flagstone surrounds this Impeccable home.Residing in the Tucson mountains,this Beautiful home is only minutes from downtown. 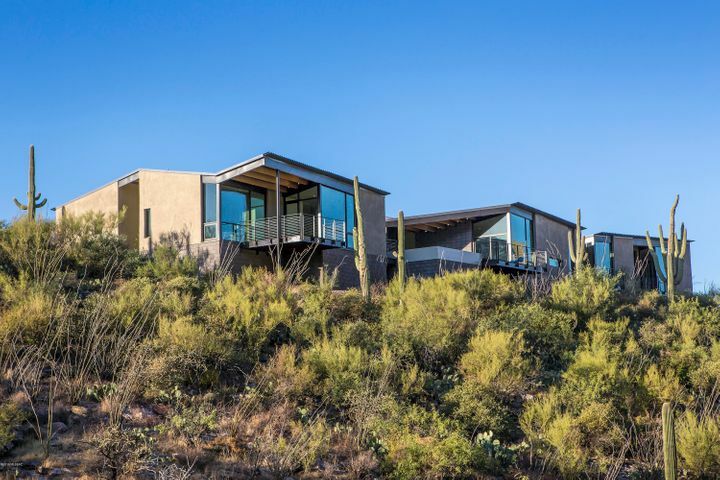 With 360 degree views,the sunrises,sunsets,and nighttime city lights are unbelievable.Majestic rock formations and an over abundance of towering Saguaros make the drive to this home a most"
"The Villas at MIRAVAL Resort offer what no other residence on earth can - the world's most acclaimed destination spa, at your doorstep. This is rare & remarkable opportunity to make Miraval a permanent part of your life, to surround yourself with the people, experiences & activities that every day present opportunities for growth, enrichment and wellness. 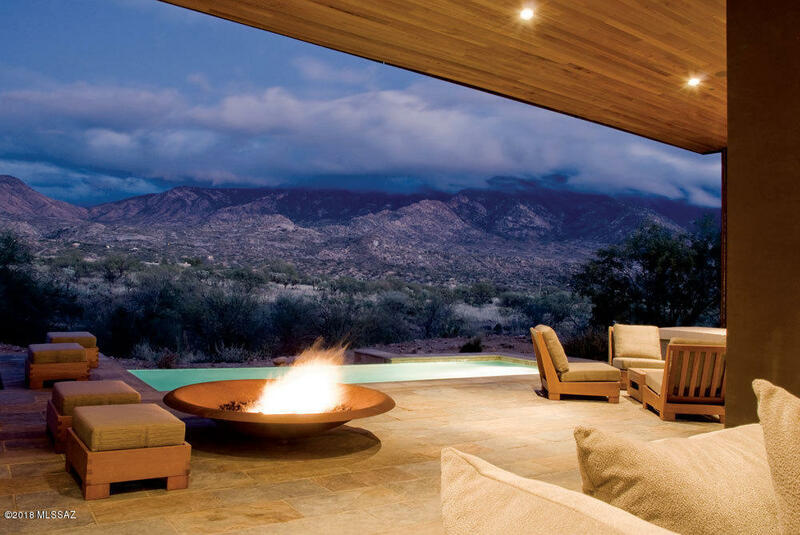 A design inspired by the desert engages and blends seamlessly with the natural surroundings. Architecture by Mithun of Seattle, a national lea"
"Brand new, spectacular Mediterranean contemporary in prestigious, gated Finisterra. Stunning does not begin to describe this 6 bedroom, 5 1/2 bath, 6083 sqft home at the top of a ridge at the end of a cul-de-sac w/sweeping Ventana Canyon, Catalina and Rincon Mtn. and city views on a 1.55 acre lot. Paver driveway leads to custom wrought iron entry door into living room/dining room w/soaring ceilings, walls of windows, custom wrought iron light fixtures, travertine floors and alder wood doors th"
"Beautiful, custom built Skyline CC home on a large private lot w/ walls of windows to capture the phenomenal city & mountain views, that encapsulate you. Open living & dining space, a gorgeous library, wet bar, large closets, extraordinary custom built-ins throughout the home & a gorgeous gourmet kitchen. This is home an entertainers dream, complete w/ a fully equipped media room. While you retreat to your master suite & a spa like bath w/ incredible city views, your guests can escape to their "
"Exquisite NEW CONSTRUCTION Residence in Tucson's Most Luxurious Community - THE CANYONS. Completed in January of 2019 - 5,187 SqFt 3 BR & 4 BA w/ Executive Office Main House & 580SqFt 1 BR & 1 BA w/Living Rm-Kitchen Guest House. Fine Features Throughout Including Pella Doors & Windows, Oversized Porcelain Tile Floors & Silk Carpet, 8 Ft. Solid Alder Doors, Expansive Walls of Windows Showcasing Commanding Mountain & City Views,Master Suite w/Walk In Cedar Closet, Spa Bath, & Outdoor Shower. State"
Como Del Sol (1-83) Blk. Lazy C Ranch Estates NO.